An enhanced version for a credit sales field solution was developed based on UCS's leading mobile field sales solution, SalesWorx. 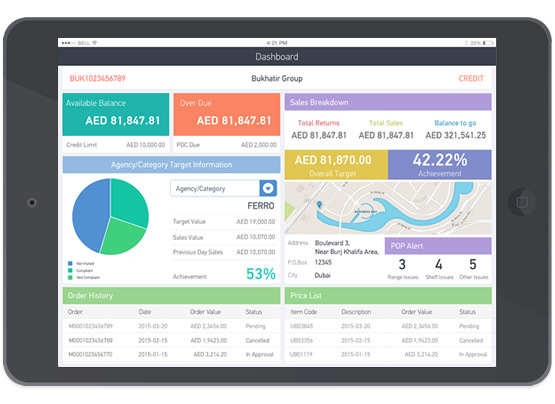 The iPad based app offers functions for field order generation, sales tracking, route compliance, and other sales activities. As with all LOB apps developed by UCS, SalesWars transacted data with an ERP solution, SAP in this case.